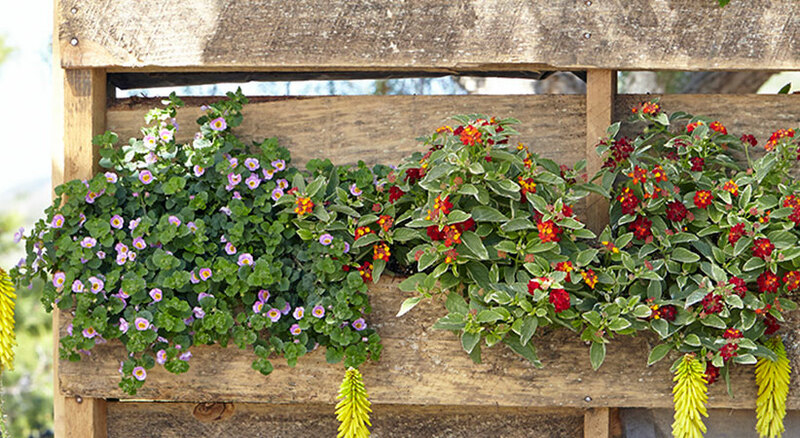 Upcycle a wooden pallet into a charming vertical planter with this simple modification. 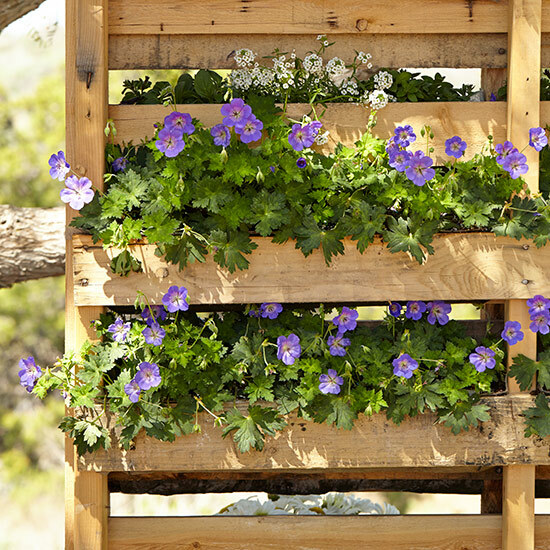 With only minimal modifications you can stand a pallet upright and turn it into a planter getting colorful flowers up at eye level. 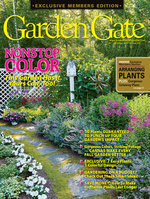 Fill an empty wall or mount it on stakes to add height to borders. Cut a double layer of landscape fabric to fit in between the pallet boards. Attach landscape fabric with heavy duty staples placed every few inches. 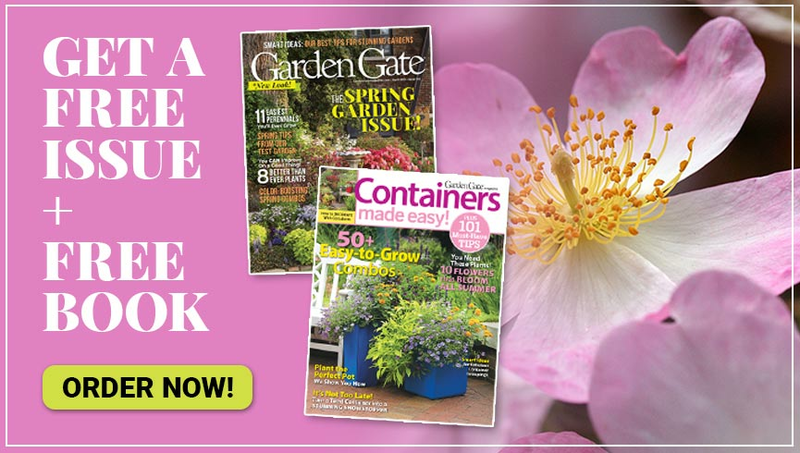 Fill the troughs with lightweight potting mix and add your favorite plants. 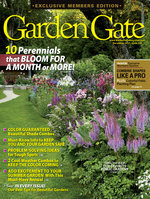 Trailing ground covers, such as perennial geranium (Geranium spp. and hybrids) and sweet alyssum (Lobularia maritima) planted above, or those with a mounded habit look the best in a planter like this because they cascade over the edges of the board. Those that grow really tall or upright, such as some ornamental grasses, aren’t a good fit for this situation. Upcycle a glass lampshade into a unique hanging planter.